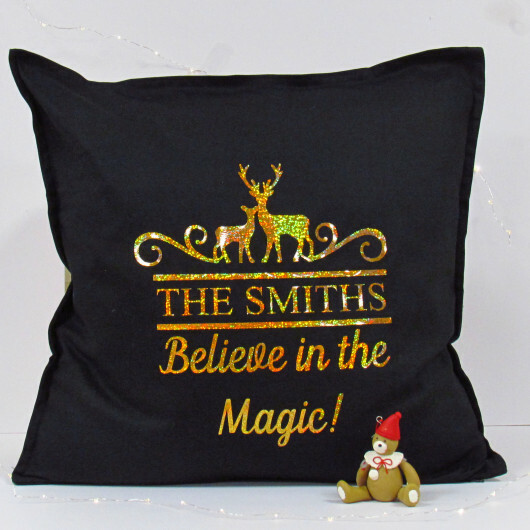 Personalised Christmas cushion featuring a Believes In The Magic design. 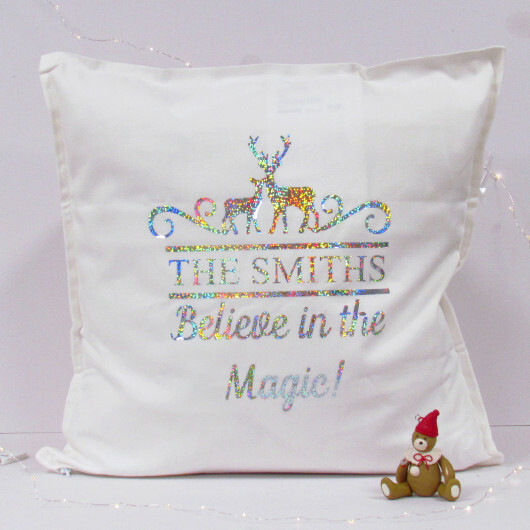 This traditional christmas design mixed with the glitter effect design adds texture to this festive cushion. You can also choose from the following cushion colours, Black or White and choose the design colour from Gold or Silver.